Sterling K. Brown and Donald Glover aren't such Emmy outliers this year. More than a third of the 101 acting nominations for the 70th Primetime Emmy Awards went to ethnic minorities, according to an analysis by The Associated Press. That's up from a quarter of the field last year, when Brown ("This Is Us") and Glover ("Atlanta") won top acting awards. Both men are nominated again, along with noteworthy first-timers including Latino actors Ricky Martin and Penelope Cruz for "The Assassination of Gianni Versace: American Crime Story," Tiffany Haddish for "Saturday Night Live," Issa Rae for "Insecure" and John Legend for "Jesus Christ Superstar Live in Concert." 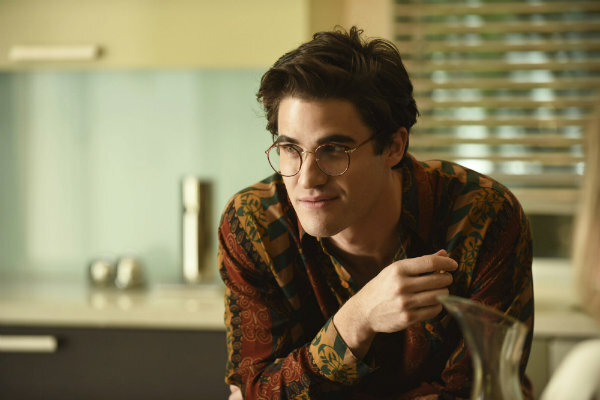 Darren Criss, who is of Filipino descent, was also nominated for "American Crime Story." Sandra Oh, the Canadian-born actress of "Grey's Anatomy" fame, became the first nominee of Asian descent in the leading drama actress category. Oh, who earned five supporting actress bids for "Grey's," has earned critical praise for her role as a spy hunting a female assassin in BBC America's "Killing Eve." "I think we're all happy with the direction we're going. This is the most diverse class of performer nominees we've had ... which is fantastic," Maury McIntyre, TV academy president, said Thursday after the nominations for the Sept. 17 awards were announced. Only one of this year's categories, supporting actor in a drama, lacked any performers of color. In three categories, more than half the field are minorities. That includes supporting actor in a comedy series, with black actors Tituss Burguss ("Unbreakable Kimmy Schmidt"), Brian Tyree Henry ("Atlanta") and Kenan Thompson ("Saturday Night Live") and Tony Shalhoub ("The Marvelous Mrs. Maisel"), of Lebanese descent, competing with Louie Anderson ("Baskets") Alec Baldwin ("Saturday Night Live") and Henry Winkler ("Barry"). In 2017, the nominations showed significant gaps in Emmy progress. "Master of None" star Aziz Ansari, who is of Indian heritage, was the sole Asian-American to be nominated for a continuing series lead or supporting role. Not a single Latino was included in the marquee acting categories. The hard-won progress made by the African-American stars and makers of shows including "black-ish" and "Atlanta" has brought them creative influence and visibility that Latinos and Asian-Americans, America's first and third largest ethnic groups, respectively, are still aiming to achieve. The three ethnic groups make up a combined 37.2 percent of the U.S. population, according to U.S. Census figures. The TV industry has faced pressure to change in recent years, including from a multi-ethnic civil rights coalition formed after major networks fielded a fall 1999 slate of new shows with only white stars. Networks and producers have taken steps to boost opportunities, but with uneven results. Leonard James III, chair of the NAACP Image Awards committee, said last year that a long record of fighting for civil rights is behind the significant African-American gains. "We've been engaged with the Hollywood community for 100 years," James said, including NAACP-led protests against D.W. Griffith's "The Birth of a Nation" in 1915, just six years after the organization was founded. "I think you're beginning to see some of that work get very positive results." AP Music Writer Mesfin Fekadu in New York contributed to this report.